For my experiment I needed 2 hectares of good reasonably flat land. Then sudd­enly, I heard of what was for me the ideal place. 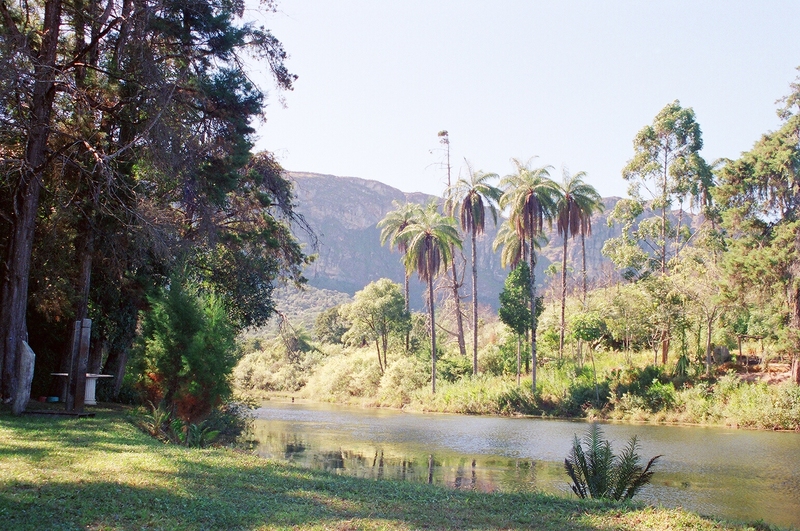 My friend Jes‡ in Brazil had bought 5000m² (half a hectare) of natural tropical forest. It was a dismembered part of a 500 hectare farm near a village called Água Limpa. 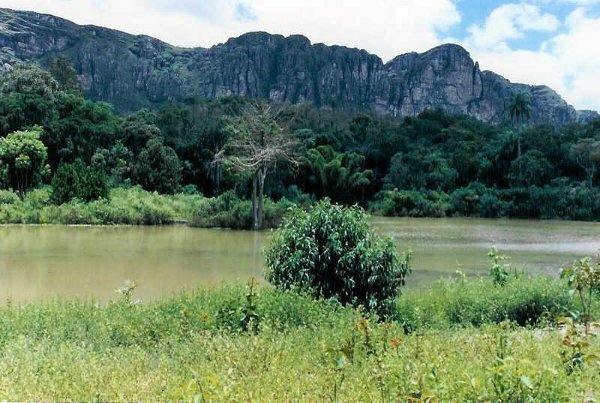 This is along 15km of mountain­ous dirt track from the small town of Caeté, which is just 30km from Belo Horizonte, capital of the state of Minas Gerais, Brazil. The call of a tropical paradise was irr­esistible. The terms and conditions of use for Jes's little patch of tropical forest were as fol­lows. She could build a dwelling on the land. She could take water from under the ground for domestic and agricultural use. She could cultivate up to 40% of the land, leaving 60% as natural forest. This certainly seemed to present an excellent pract­ical opportunity to create a working model of my concept of a futuristic landshare unit. Sadly, the proposed working model of my futuristic landshare unit could not be real­ized. Jes, along with several other work colleagues, became victims of a land sale scam perpetrated by a crooked landowner who set up an unfulfillable contract which enabled him to take receipt of the would-be buyers' monies in return for ab­solutely nothing. 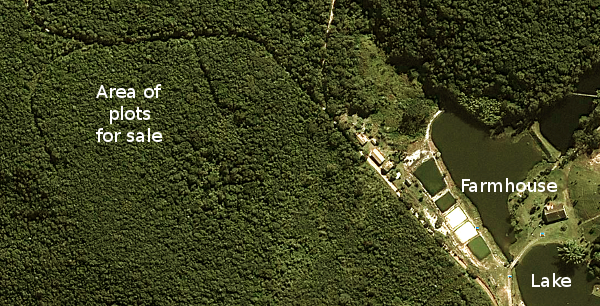 Under Brazilian law, each buyer's respective piece of land was found to be fundamentally unsaleable. This meant that, having paid in full for her piece of land over several years, Jes could not legally register her ownership of it and therefore had no right to occupy it or use it. It is as a note of caution to any who would wish to follow this course themselves that I now relate the full story. In 2001 Jes, thinking about her retirement, had bought a plot of land - or so she thought. Tes‡, a work colleague, had told Jes of an opportunity to buy a plot of land in a beautiful rural setting. Along with Tes and several other colleagues, Jes met with the vendor's representative. He showed them photographs of the general location of the proposed plots, which was set in a vast area of natural tropical forest, centred around a rustic farm house by a beautiful lake. As a result, Jes accepted an invitation to visit the farm from which her land was go­ing to be dismembered. The scenery, of the lake with craggy mountains beyond, was breath-taking. From the open ground surrounding the farmhouse, the vendor pointed to a forested rise that must have been over half a kilometre distant and about 20 metres above the level of the lake. That, he told them, was where their plots would be. Not long afterwards, Jes, together with several other colleagues at her place of work signed up to buy plots of land from this farm. Most of her colleagues, as I understand it, bought their plots with the same dream of one day building a home there for their retirement. The vendor knew full well that they all worked in a branch of the Federal Court so they naïvely assumed that he would not try to ensnare them in an unfulfillable contract. How wrong they were! I paid my first visit to Brazil in January 2004. On the 16 January, Tes took Jes and me for a trip to the farm. Tes had since developed a very close emotional relationship with the owner, whom I shall refer to as Itamar. Some time after arriving, Itamar took us for a walk through the forest along a dirt road up the hill to where the road ended. He pointed to a patch of impenetrable forest on our right and indicated that this was Jes's plot. Then we walked back to the farmhouse. We never saw any de­marcation posts or any other form of physical boundary. Back at the farmhouse, I asked Itamar if I could see a plan of the proposed divisions of the land into individual plots. He appeared a bit irritated but showed me a scrap of A4 paper showing a very crude sketch of the proposed divisions. I asked if I could take a copy. He awkwardly refused, saying he would send a photocopy later. He never sent it. Notwithstanding, according to the vendor's contract, every purchaser is deemed to have already received a sketch of his respective plot location and to have "complete familiarity with the limits, demarcations and topographical profile of the plot". The precise location of each person's plot was never defined, either before or after the signing of the contract. The sum total of knowledge and familiarity given to these hapless purchasers prior to their signing the contract was merely the pointing out of the general area from over half a kilometre away. No map locating the pos­ition of the land and no plan of its demarcation were ever provided. Jes finished paying for her land on 24 August 2004. She had paid every month "on the dot" as required to do by the contract. Consequently, she then expected to receive from the vendor a notice of completion of her side of the contract and for an arrangement to be made for her to become the registered owner of the plot. Nothing happened. After several attempts over the ensuing years to finalise the contract, nothing materialised. The vendor always obstructively fobbed off her corr­espondence, saying that bits and pieces of various clauses in the contract had not been fulfilled by her. 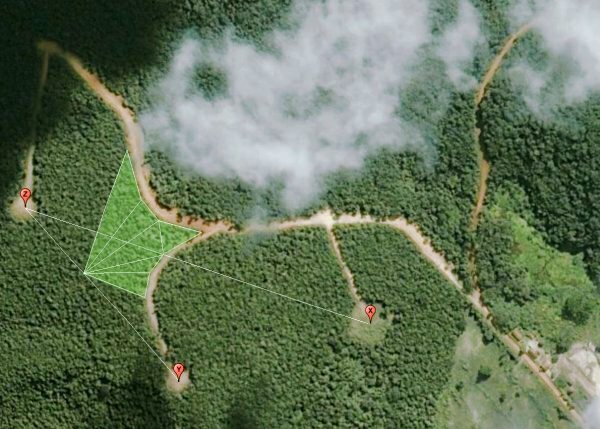 As a stranger in a vast foreign country, only once having visited this remote loca­tion, I had somehow to discover the precise coordinates, shape and size of the 5000m² piece of tropical forest that Jes had been falsely led to believe that she had bought. 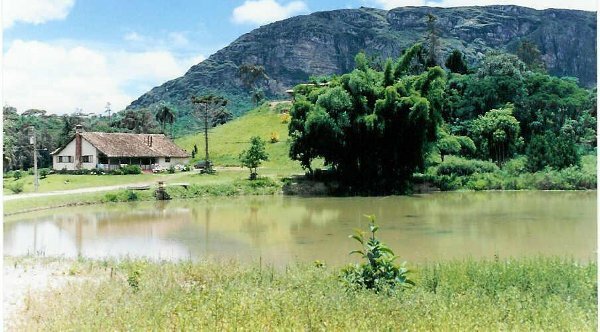 When Tes had taken us to the farm in her huge old Nissan off-road vehicle on 16 January 2004, she first followed the normal route to Caeté. At Caeté she veered off down a narrow rutted dirt road, which was sign posted to a village called Água Limpa. I was fascinated by the road as it took us up and down seemingly impossible inclinations bouncing across water gulleys that traversed the road. I remember seeing what I always think of as a Brazilian practical joke. In one stretch of road, which seemed far better suited for a military tank, I saw a speed limit sign for 30km/h. I don't think any vehicle yet made could have travelled that particular stret­ch at more than 5km/h without breaking an axle. We eventually arrived at the farm. When we left the farm, Tes decided to stay on there with Itamar. They decided that it was better for us not to return home via Caeté but to go onwards to Barão de Cocais because we could catch a bus from there back home. So Itamar drove us all in Tes's vehicle to Barão de Cocais. Jes and I caught the bus. Tes and Itamar went back to the farm. From these two journeys, I estimated that the farm, within which Jes's land is supposedly located, was a little over half (say 0·6 of the) way from Caeté to Barão de Cocais. A quick Internet search showed Barão de Cocais to be at 19°56:45S 43°29:14W and Caeté to be at 19°52:48S 43°40:11W in the state of Minas Gerais, Brazil. Consequently, Caeté must be 00°03:57N and 00°10:57W of Barão de Cocais. Assuming that the farm is actually on the diagonal between the two cities, this would place it at about about 00°01:35N and 00°4:23W of Barão de Cocais. To a guesstimated accuracy of about ±½ a kilometre, the co-ordinates of the farm would be therefore 19°55:10S 43°33:39W. The fact that degrees of longitude re­present shorter distances than degrees of latitude everywhere except on the equ­ator does not matter here because distances are calculated separately along each axis. Back in 2004, this was the best information I then had about the geo­graphic location of Jes's land. In March 2010, I searched on Google Earth for the farmhouse. I scanned outwards from where I had guestimated it to be when we visited it in 2004. I found it at 19°53'52·43"S 43°32'11·90"W, less that 3½ km from where I had estimated it to be. Not bad, since the dirt road was tortuously winding over banks, hills and water gulleys. Close by the farmhouse I recognized the lie of the land. There were the dirt tracks leading to the proposed plots, just as I had remembered them. I took a larger-scale image of the area of the plots and marked out Jes's plot, as best as I could recall, as "demonstrated" to us during our visit to the farm in 2004. This area is shown below, although the satellite image was getting on for 5 years old at the time, probably dating from 2005 to 2006. 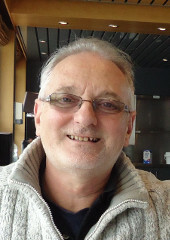 From this, I was able to do a remote satellite survey to an accuracy more than ad­equate for the purpose, thus fulfilling the requirement stated in Clause 5 of the so-called "contract". The image below was re-pulled in October 2012 from a much more recent pass of the satellite. It clearly shows how the original dirt tracks to the area of the plots have been left in the intervening years to become overgrown again by the forest. Obviously, none of Jes's hapless colleagues has subsequently occupied and settled the plots of land that they "bought" in 2001. The vendor has received in full, and in due time, the purchaser's money according to the "contract". In return, even after 12 years since the date of "purchase", the purchaser has received absolutely nothing! ‡ Names of friends have been changed to protect their privacy.